Find difficulty in opening DAV files on your Windows or Mac system? Since DAV files are saved in an encrypted format and feature modified MPEG compression they cannot be played on all types of payers and devices. Converting DAV to a popular video format like MP4 will help. Know the DAV to MP4 conversion with step-by-step guide below. When it comes to video compression, quality is the most important factor to be considered. To ensure that file quality is not lost during the conversion process, professional software must be used and here we recommend iSkysoft Video Converter Ultimate. The software works as a complete video-toolbox compatible with Windows and Mac to facilitate video conversion and an array of other features. Using the program multiple DAV files can be easily and quickly converted to MP4 format without any loss of quality. Allows downloading videos from more than 1000 sites including popular ones like YouTube, DailyMotion, Facebook, and others. Launch iSkysoft Video Converter Ultimate on Mac or Windows. Then select Convert tab. Click on +Add Files to browse and import local DAV files. You can also add DAV files directly from the device. Batch processing of multiple files is supported. Bonus: Added files can be edited by choosing the editing icons under the thumbnail image. Click on the desired icon that will open a new window. Make the needed changes and click to confirm the same. 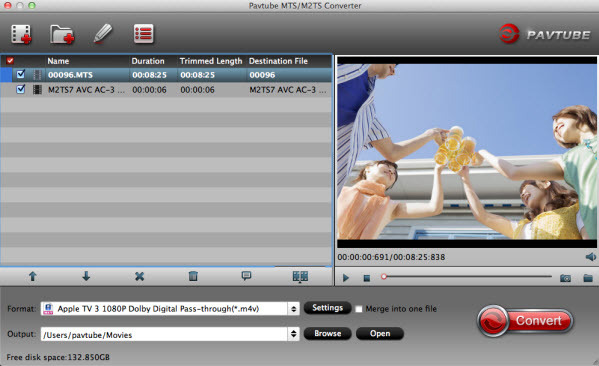 At Convert all files to: tab, open drop-down menu and select MP4 from the list of supported Video files. The resolution of the output file can also be changed and selected from the options available. Click on Convert All button to start converting DAV files to MP4 format. The Output tab shows the location where converted files are saved on your PC. The location can also be changed if needed. The Converted tab also shows the converted files on the program interface. In simple terms, DAV files are video files that are produced using digital video recorders. Not all types of recorders are capable of creating these files; instead, DVR365 recorders like DSD304, DSD308, and DSD316 DVR can produce these files. DAV files are mainly used for recording the videos that are captured by the CCTV cameras. These files have modified compression and are saved in an encrypted format. These video files come with a .dav extension and for playing them on a PC, standalone PC DVR365 player software is needed. The SightBoss Central Station software which is present inside the DVR is a special type of software that is needed in order to write as well as store the DAV files on the hard drive of DVR.